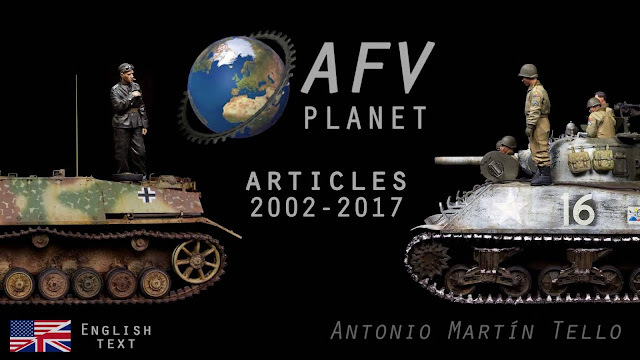 "AFV Planet - Articles 2002-2017"
e-book now available in English! 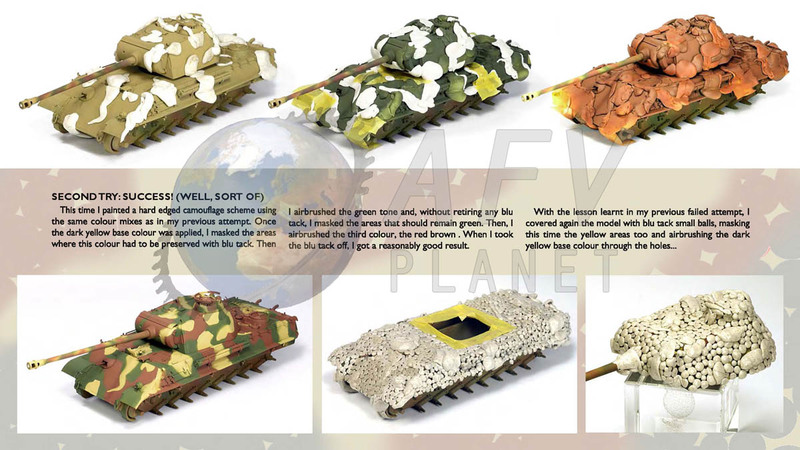 AFV Planet – Articles 2002-2017 is an electronic book in pdf format which contains a compilation of most of my modelling articles for the last 15 years. The book contains 29 articles along 370 pages, with near 1500 photographs. All the articles have a new layout and the texts have been actualised. 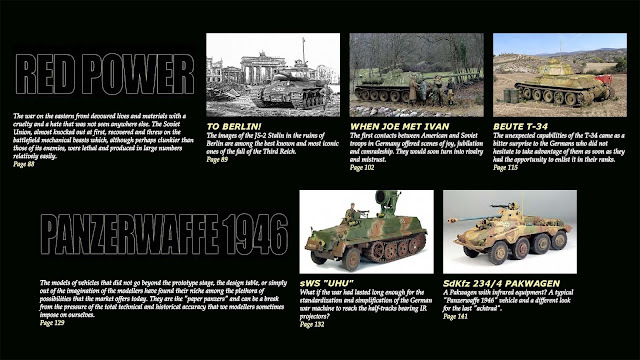 Some of them are completely new and have not been published before. 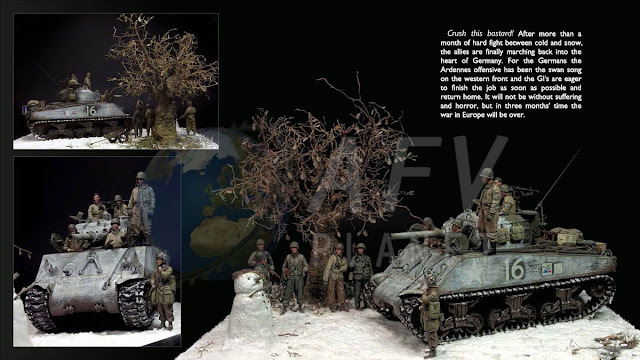 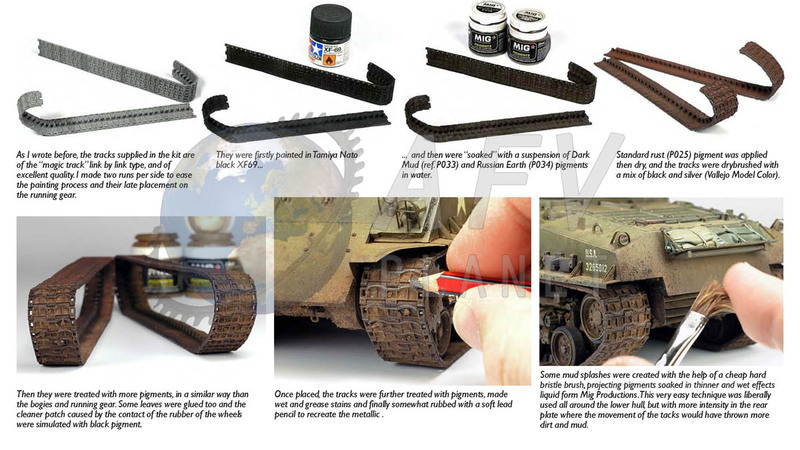 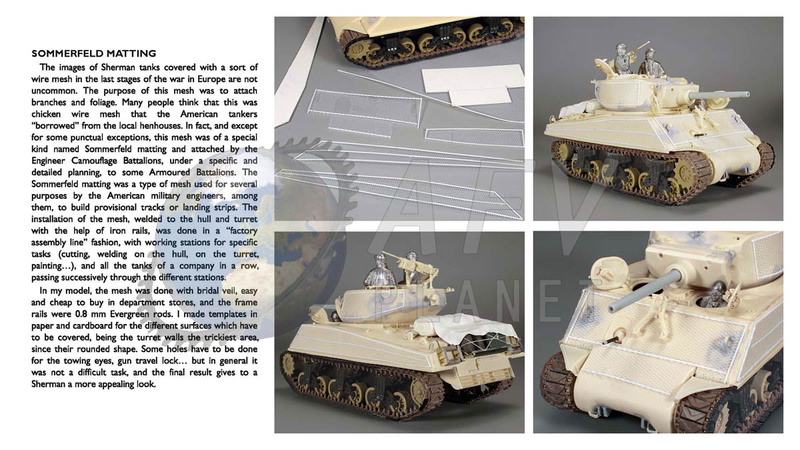 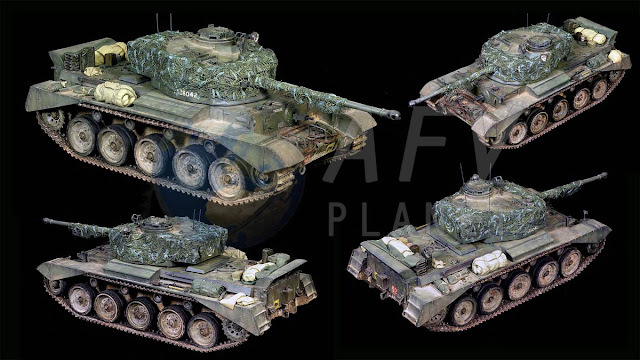 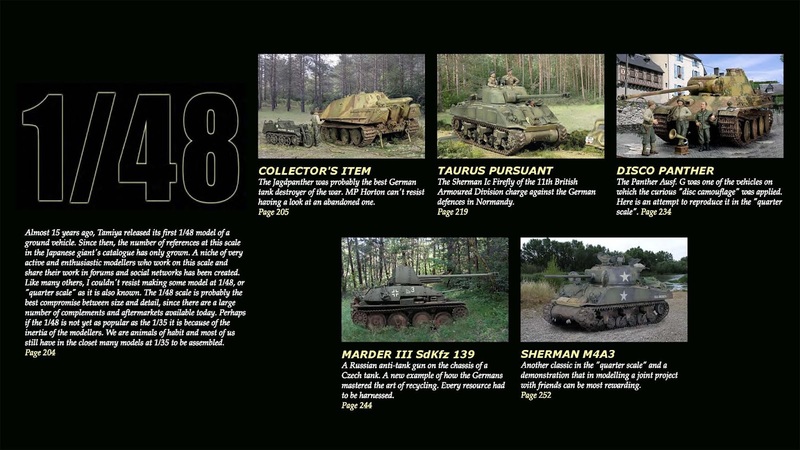 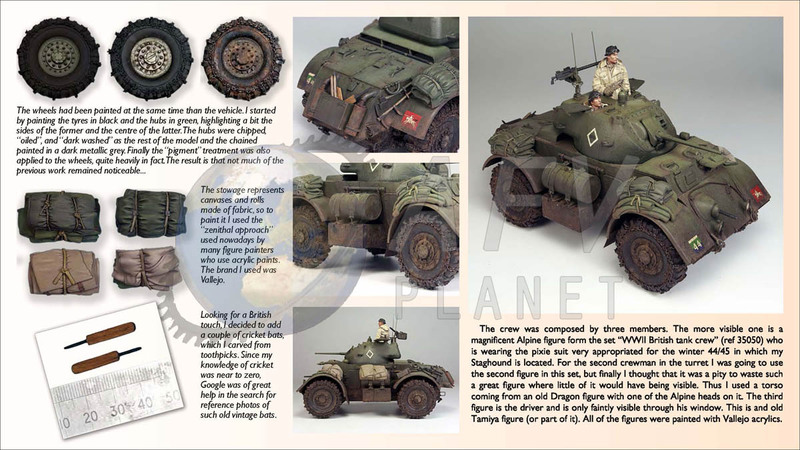 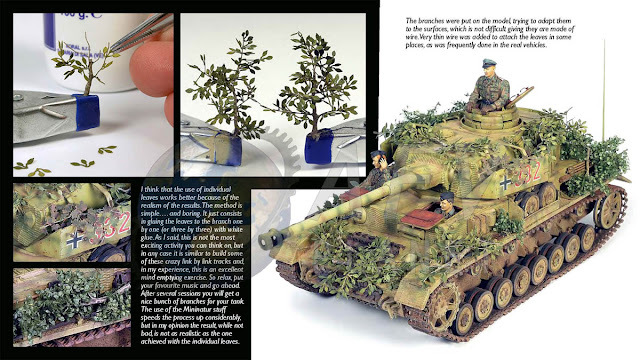 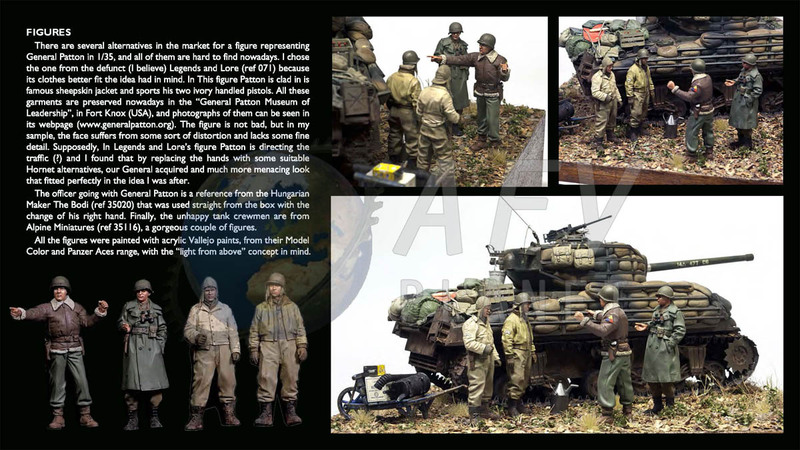 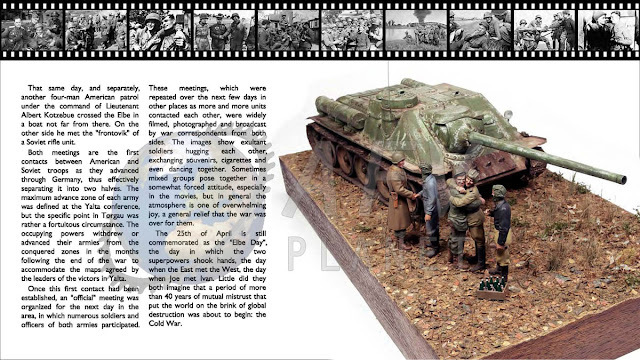 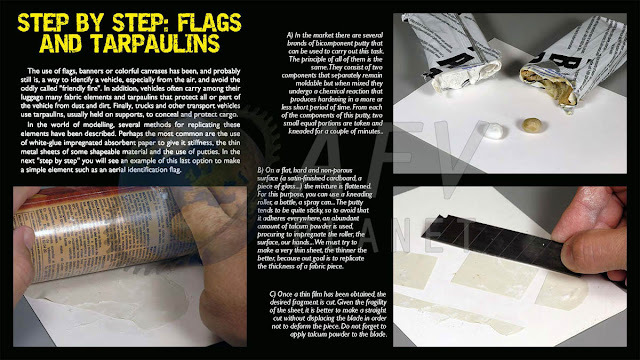 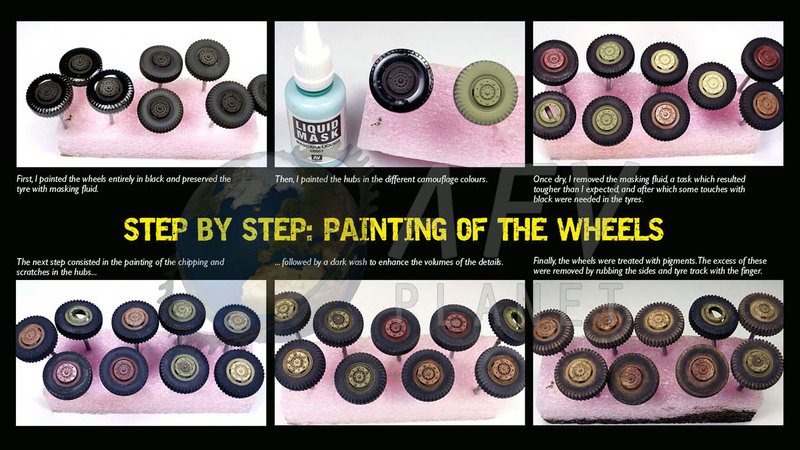 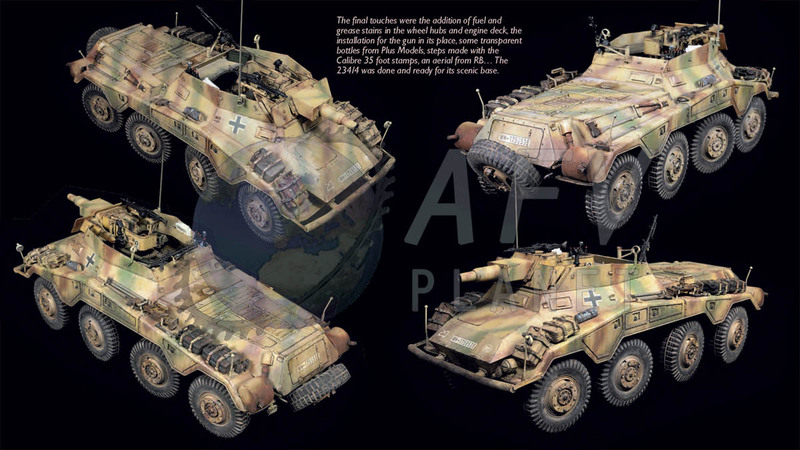 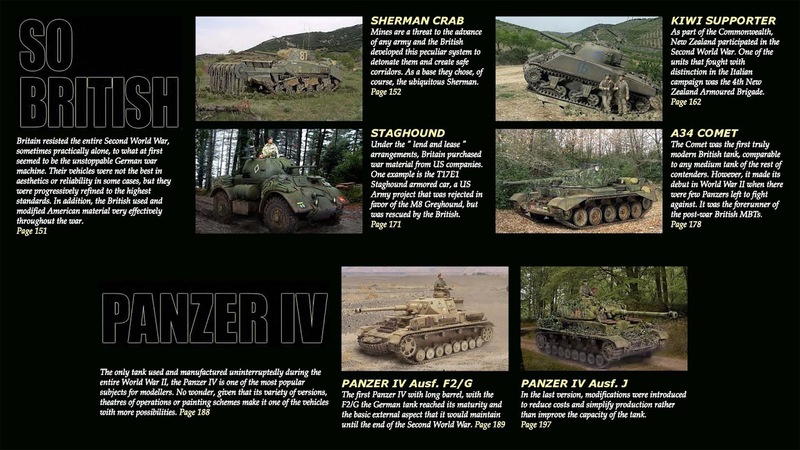 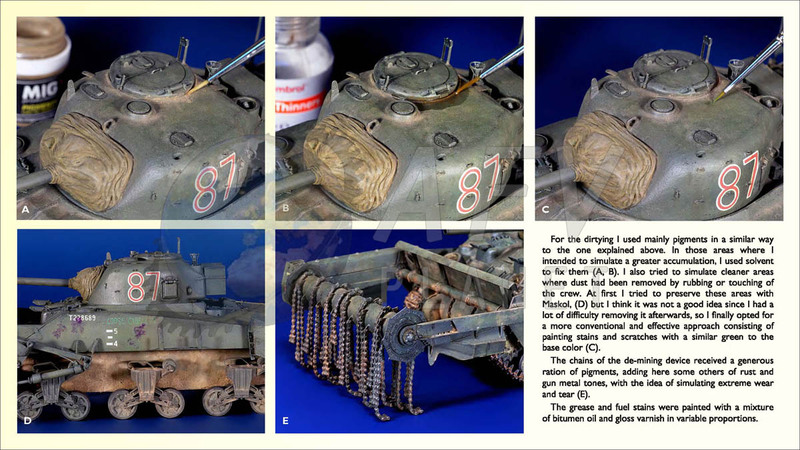 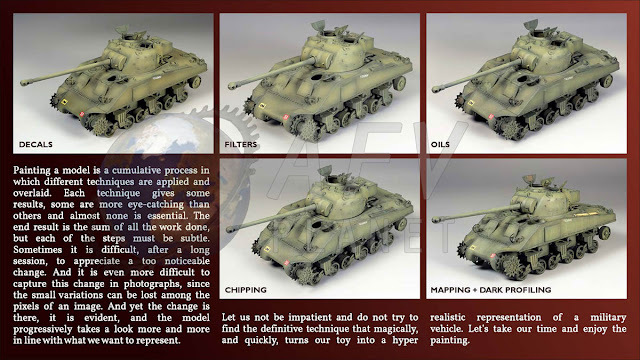 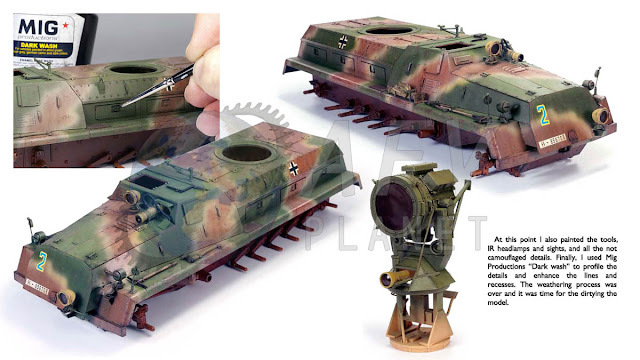 Some of you may know my modelling articles form magazines such as Euromodelismo, Panzer Aces, AFV Modeller, Steel Masters, Armour Modelling… Their strong point is the profusely illustrated painting processes, in most of the cases presented with “step by step” photographs. 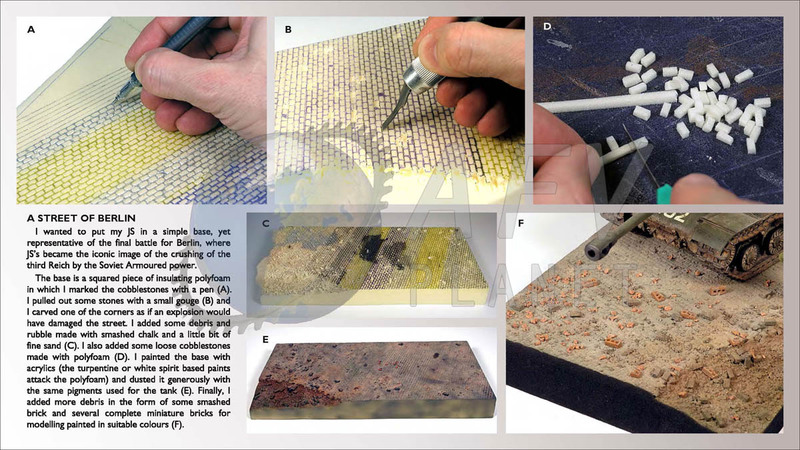 This book is true to this style and shows hundreds of images depicting the techniques and procedures used, in all cases complemented with clear and explanatory texts. Besides plenty of images of each model, each article starts with an introductory section that put the model is its historical or technical context. 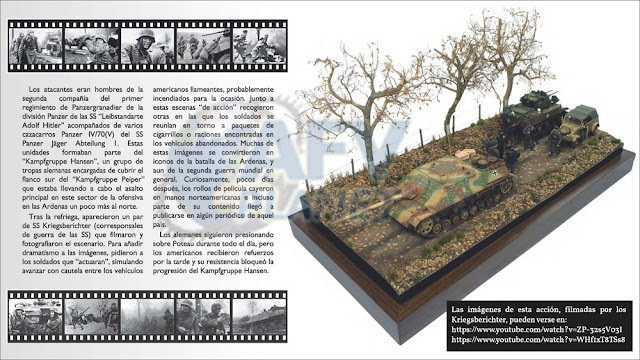 The file is intended to be seen in a screen with a 1920x1080 pixels resolution (HD), with great results. It has been successfully tested in different devices with different operating systems but the best experience is obtained with a screen as big as possible. 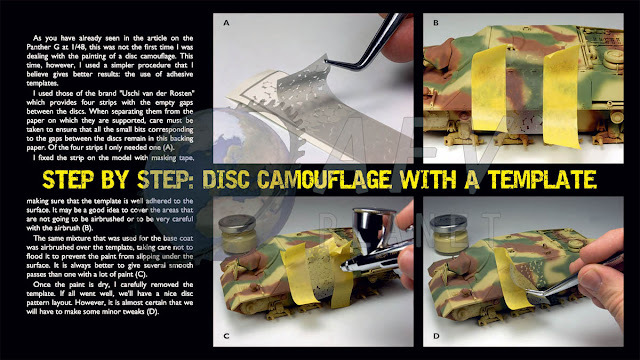 It works with most of the usual PDF viewers but I strongly recommend opening it with Acrobat Reader (a free program available for all platforms). 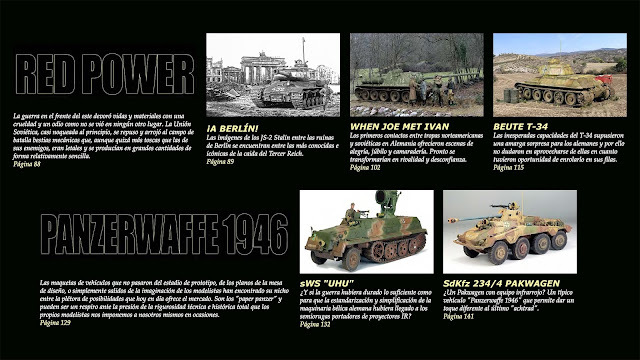 The price of the book is 15 euro, payable via Paypal (afvplanet@gmail.com). 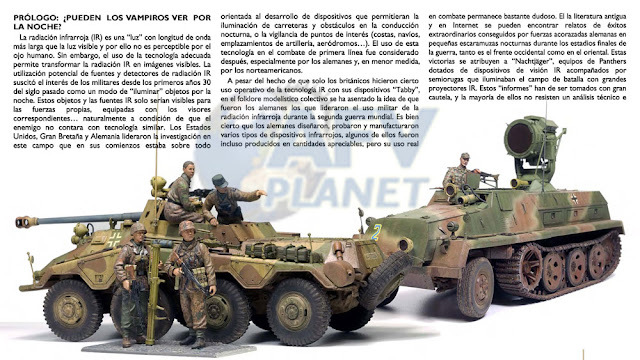 If you are interested in a copy, please send me an e-mail to afvplanet@gmail.com and I will send you instructions for downloading. I have put a lot of love in the book and I hope you like it, but, if after its purchase you think it is not worthy, or you have any technical trouble for its correct use, your money will be send back to you. 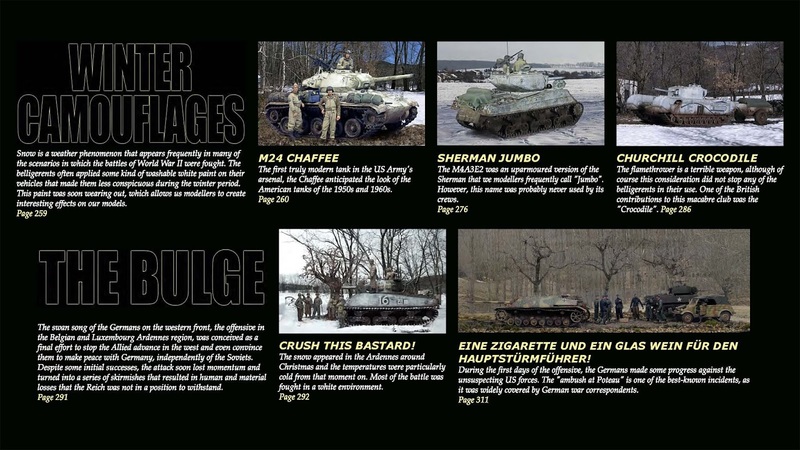 Every copy is numbered and thus, it is unique. 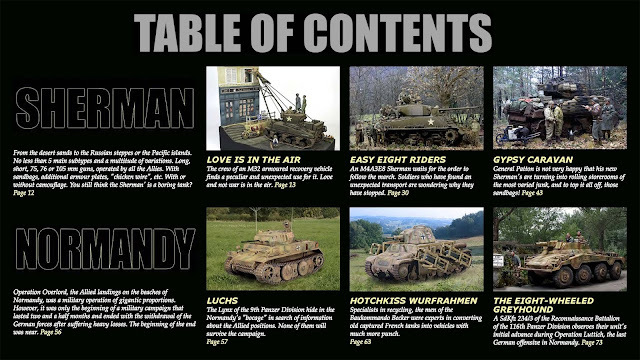 Here you can see the graphical table of contents. In the e-book, by just clicking in the images you will be send to the corresponding article. 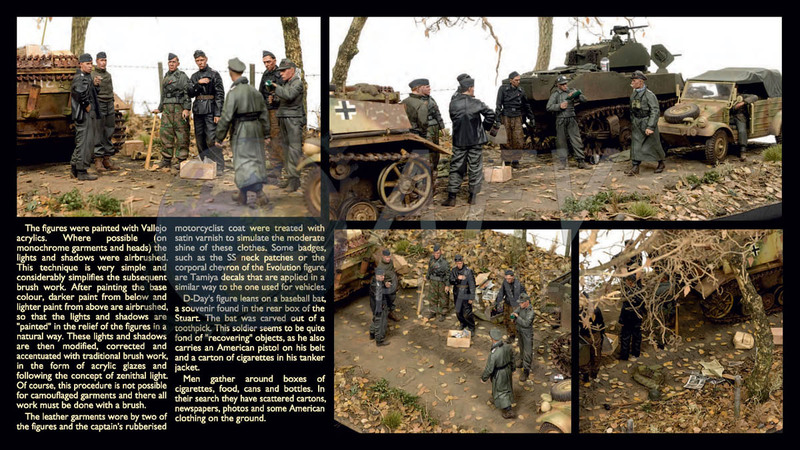 And here, some sample pages. Of course, the pages in the e-book do not have watermarks. 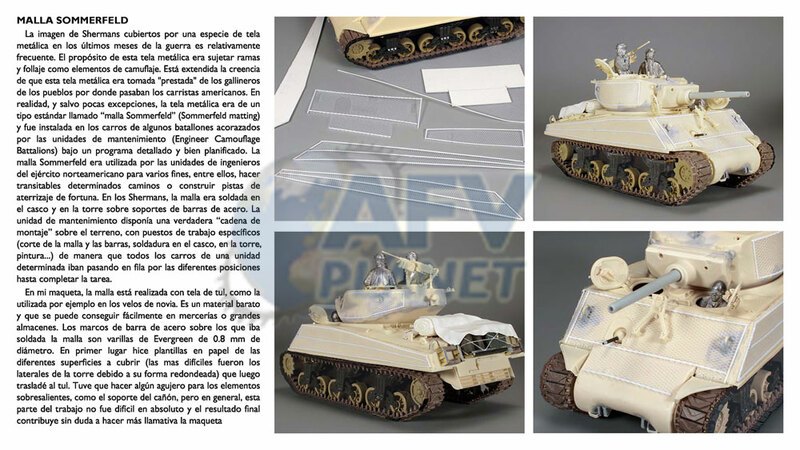 Don't miss it, order yours now at afvplanet@gmail.com! Tengo el placer de presentar AFV Planet – Artículos 2002-2017, un libro electrónico en formato PDF que recoge casi todos mis artículos modelísticos de los últimos 15 años. 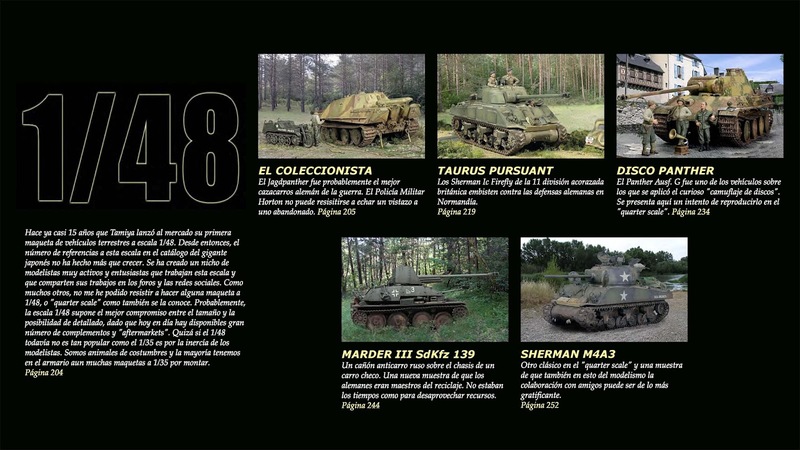 A lo largo de 370 páginas se suceden 29 artículos que contienen cerca de 1500 fotografías. El texto está en español. 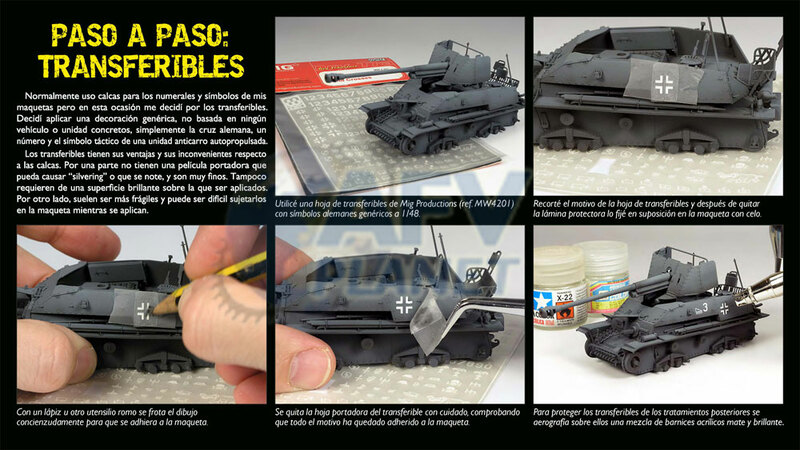 Todos los artículos han sido vueltos a maquetar y actualizados. 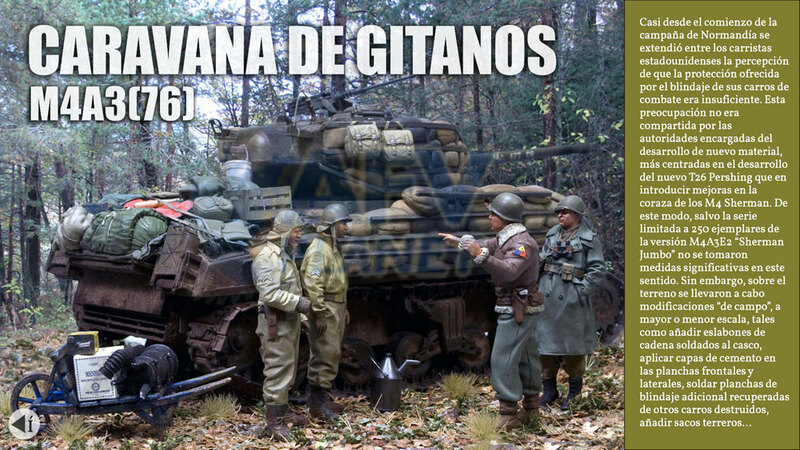 Varios de ellos no habían sido publicados hasta la fecha en castellano, y tres de ellos aparecen en primicia exclusiva, dado que no han sido publicados previamente. 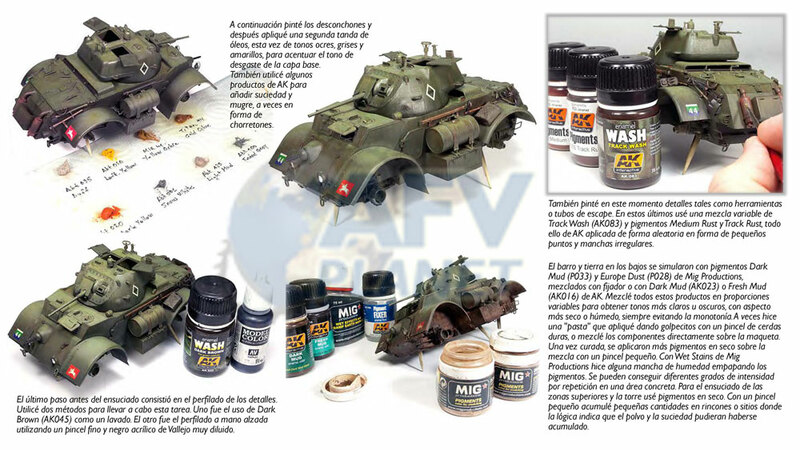 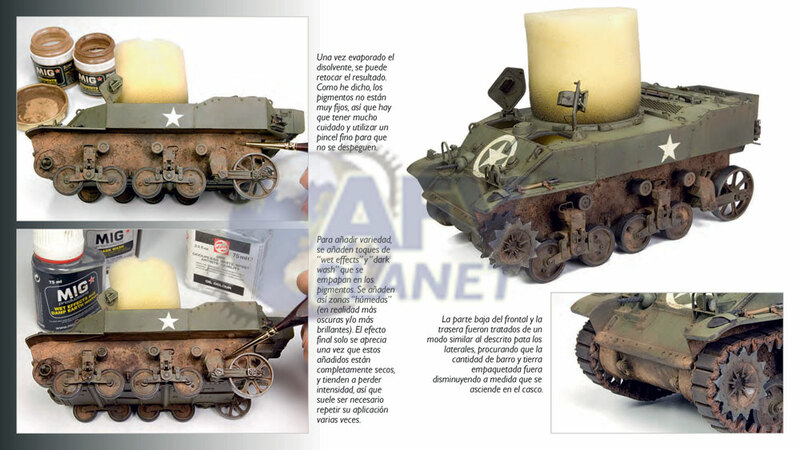 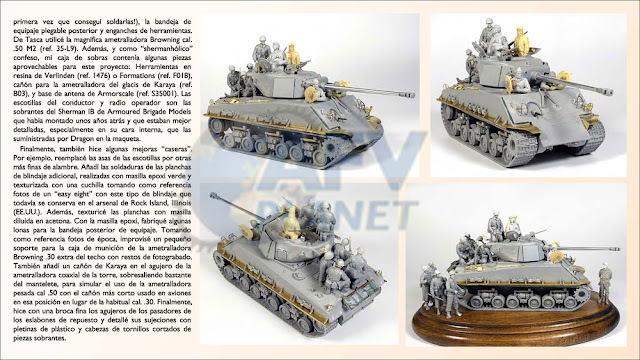 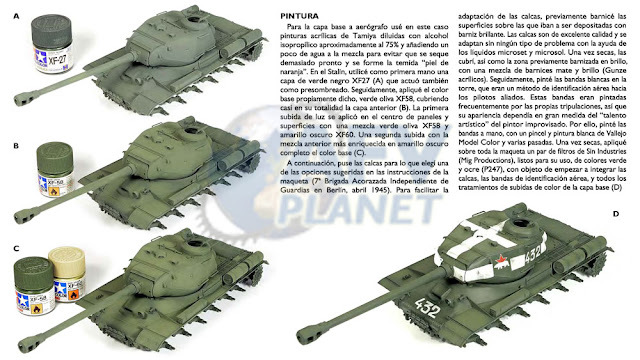 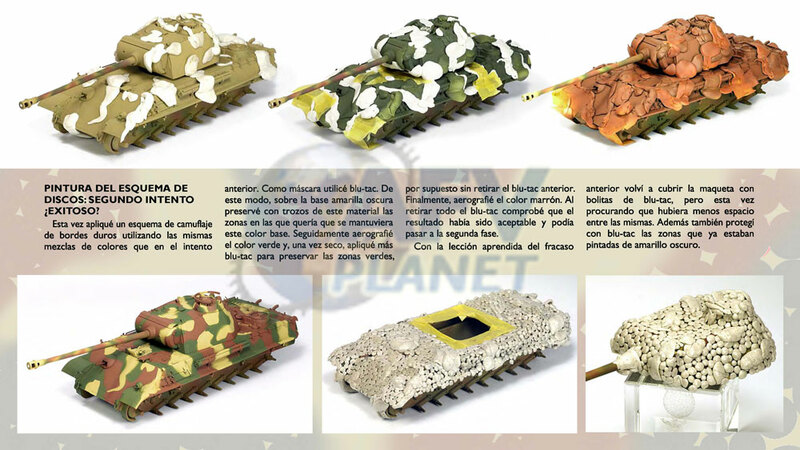 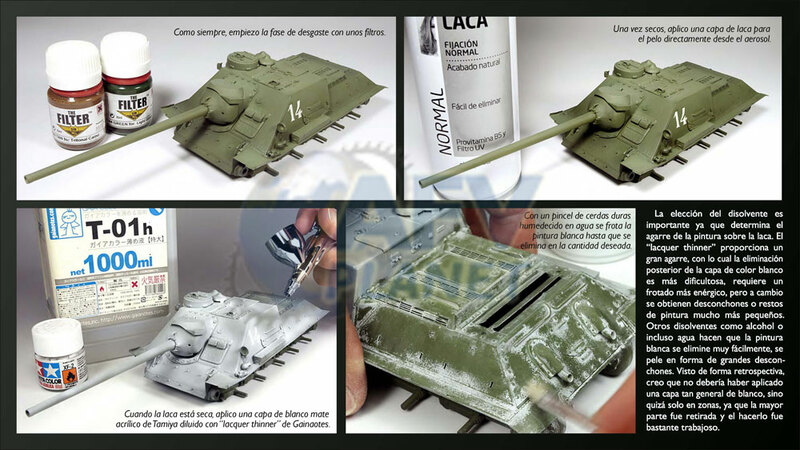 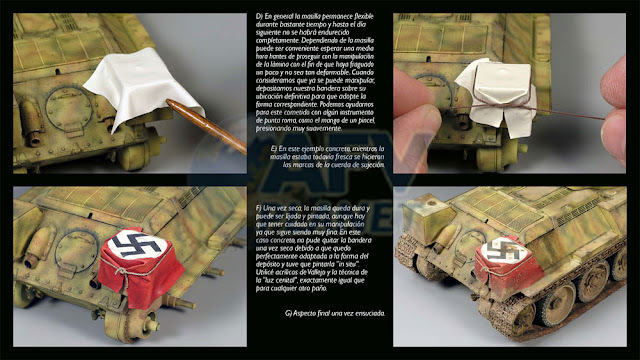 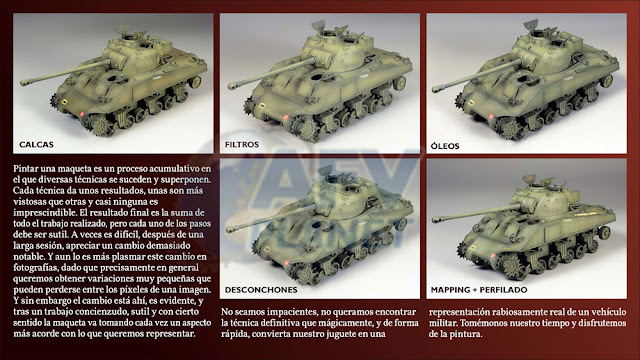 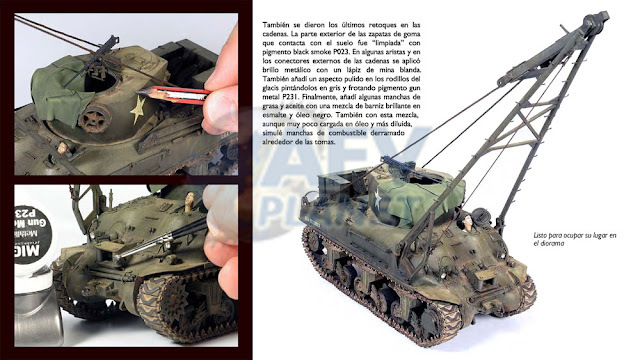 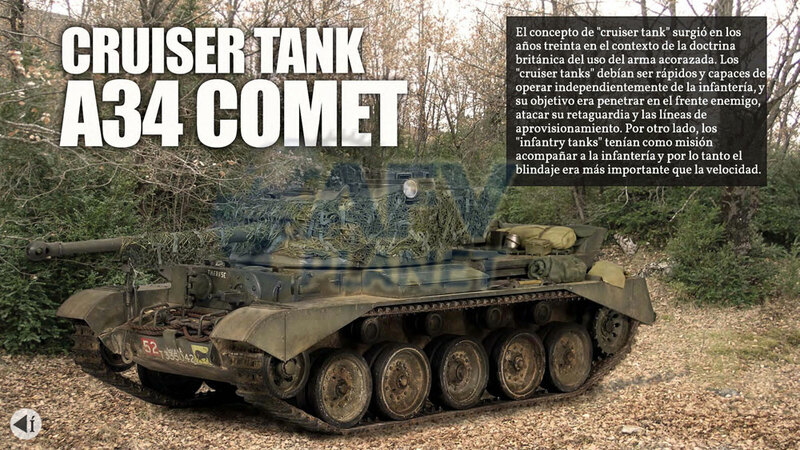 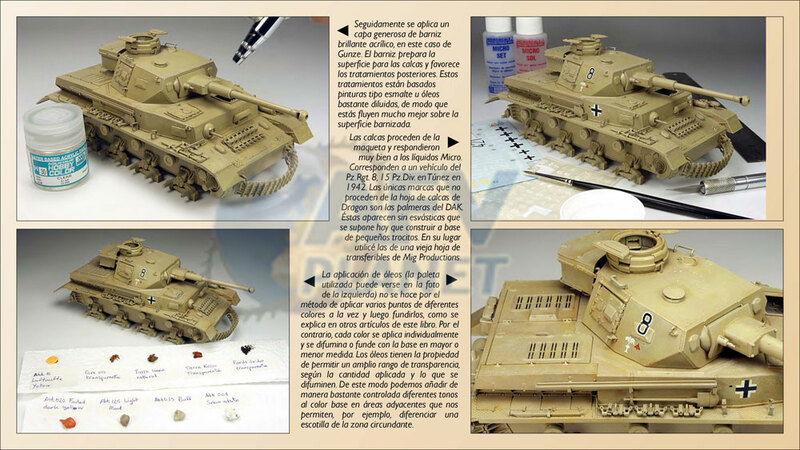 Los que conocéis mis artículos de publicaciones como Euromodelismo, Panzer Aces, AFV Modeller, Steel Masters, Armour Modelling… ya sabéis que su punto fuerte suele ser el proceso de pintura profusamente ilustrado y en la inmensa mayoría de los casos acompañado de fotografías “paso a paso”. 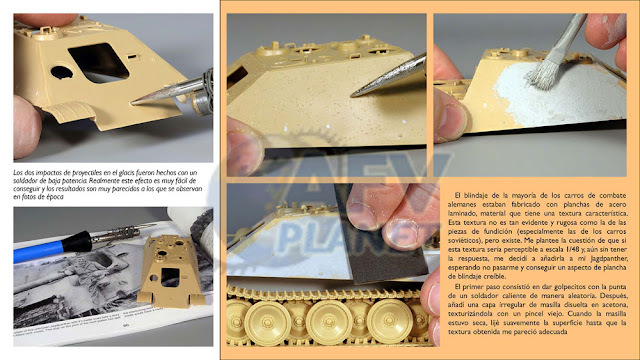 Este libro se mantiene fiel a este estilo y contiene centenares de imágenes que explican con detalle las técnicas y procedimientos utilizados. Todo ello acompañado de textos descriptivos claros y directos. Además, y pese a que nuestra afición es eminentemente visual, he intentado introducir cada artículo con textos amenos que pongan en su contexto la máquina representada, el escenario en el que se desenvolvió o el momento histórico en el que se sitúa. El documento está pensado para ser visto en una pantalla de 1920x1080 píxeles (HD) con excelente calidad de imagen. Ha sido probado en diferentes dispositivos con diferentes sistemas operativos pero la mejor experiencia se obtiene cuanto más grande es la pantalla de visualización. 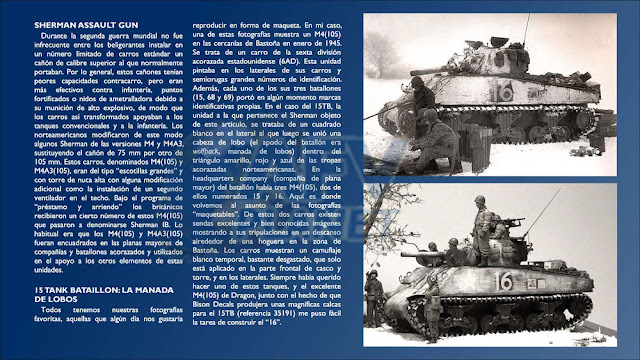 Aunque funciona con casi todos los visores PDF, se recomienda usar el programa Acrobat Reader (gratuito y disponible en todas las plataformas). It is with great pleasure that I present here my electronic modelling book: AFV Planet – Artículos 2002-2017, a compilation of most of my modelling articles for the last 15 years. 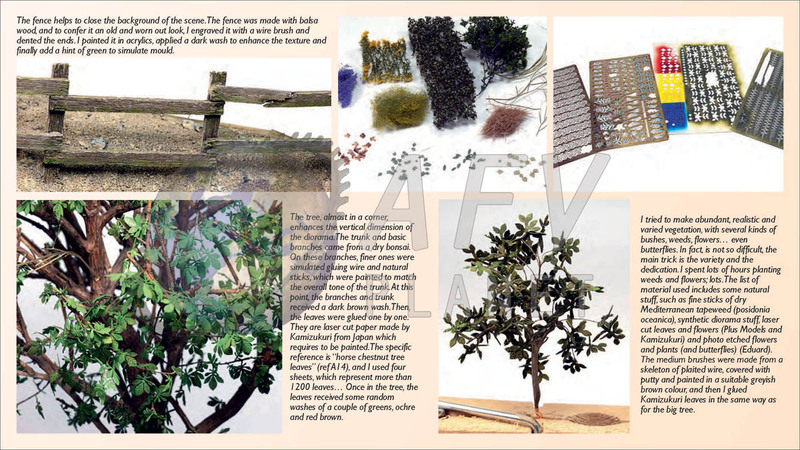 The book contains 29 articles along 370 pages, with near 1500 photographs. 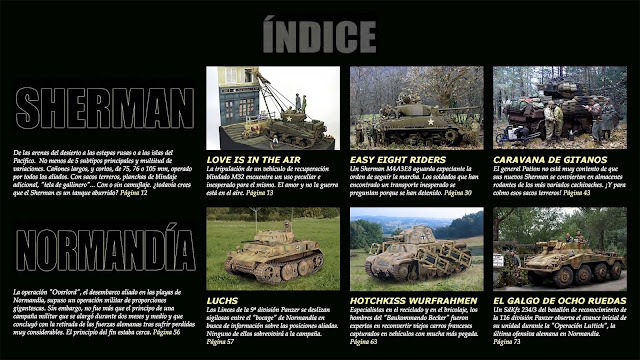 Text is in Spanish. 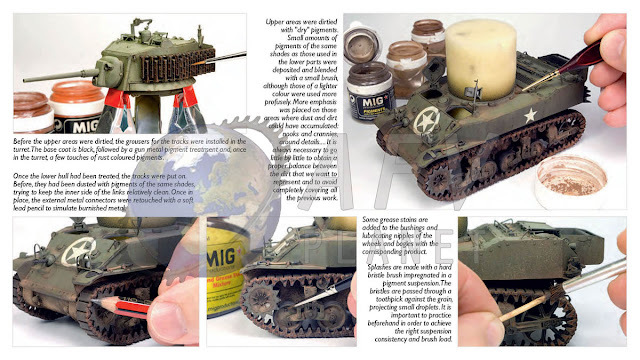 All the articles have a new layout and the texts have been actualised. Some of them are completely new and have not been published before. 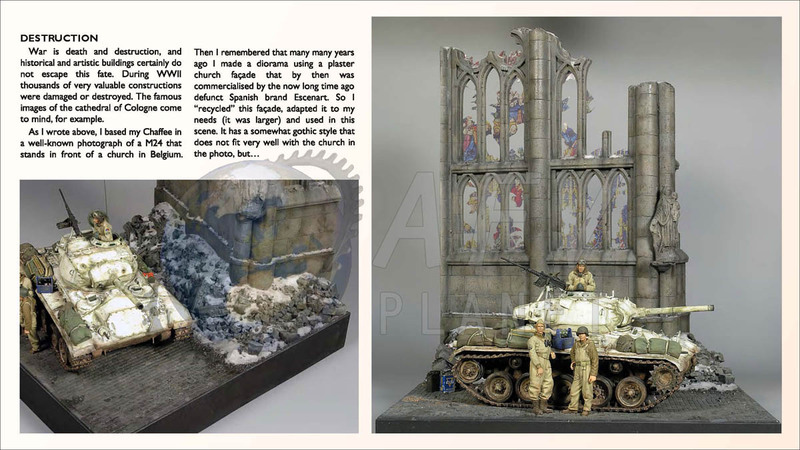 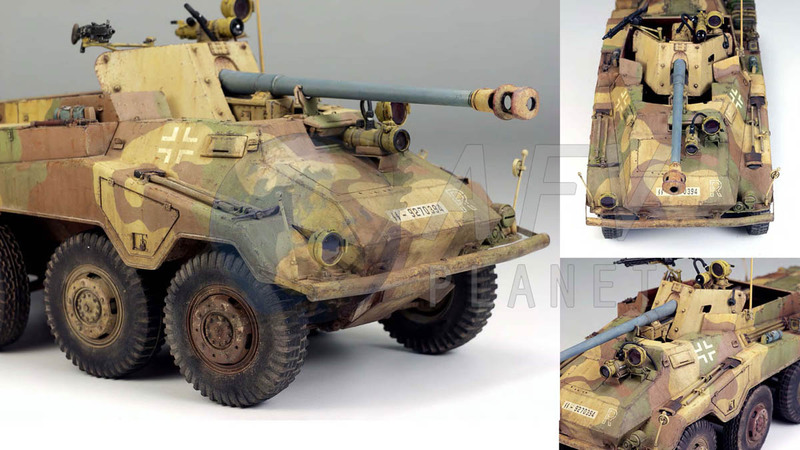 Some of you may now my modelling articles form magazines such as Euromodelismo, Panzer Aces, AFV Modeller, Steel Masters, Armour Modelling… You know that their strong point uses to be the profusely illustrated painting process, in most of the cases presented with “step by step” photographs. 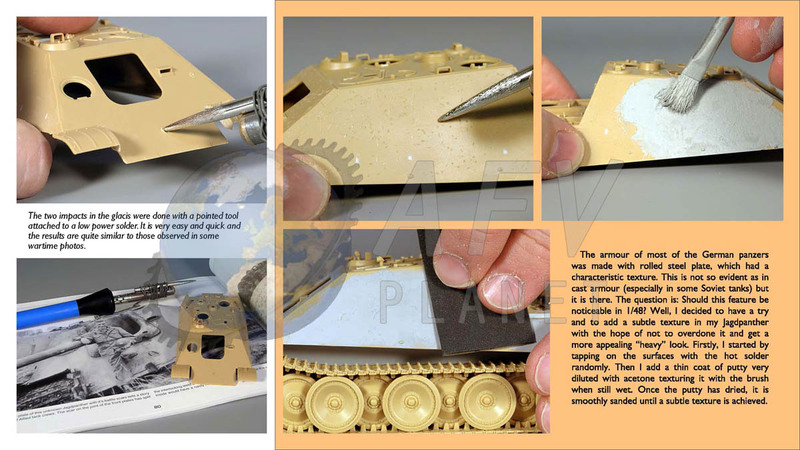 This book is true to this style and shows hundreds of images depicting the techniques and procedures used, in all cases complemented with clear and explanatory texts. Besides, and despite I reckon that modelling is essentially a visual hobby, I have tried to write entertaining introductory section for each article that put the model is its historical or technical context. 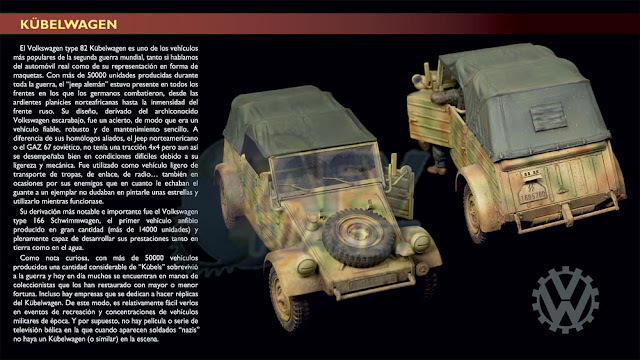 The file is intended to be seen in a screen with a 1920x1080 pixels resolution (HD), with great results. It has been successfully tested in different devices with different operating systems but the best experience is obtained with a screen as big as possible. It works with most of the common PDF readers but I recommend opening it with Acrobat Reader (a free program available for all platforms).